If I told you that a single town has a mountain bike club with over 2000 members and on one Sunday 80 of those members lined up on top of a hill to race, you'd think that was a pretty good turnout, right? But then if I went on to tell you those 80 riders were all women, you'd be pretty damn surprised I reckon. That is just what has happened today in Nelson, those 80 ladies, ranging in age from 10 to 60 years lined up to race a three stage enduro - Shred Like a Girl: Enduro Edition! Backed by a mountain bike club that expends a great deal of energy to promote grassroots riding and racing, it's certainly paying off, numbers are growing and this isn't a one off. 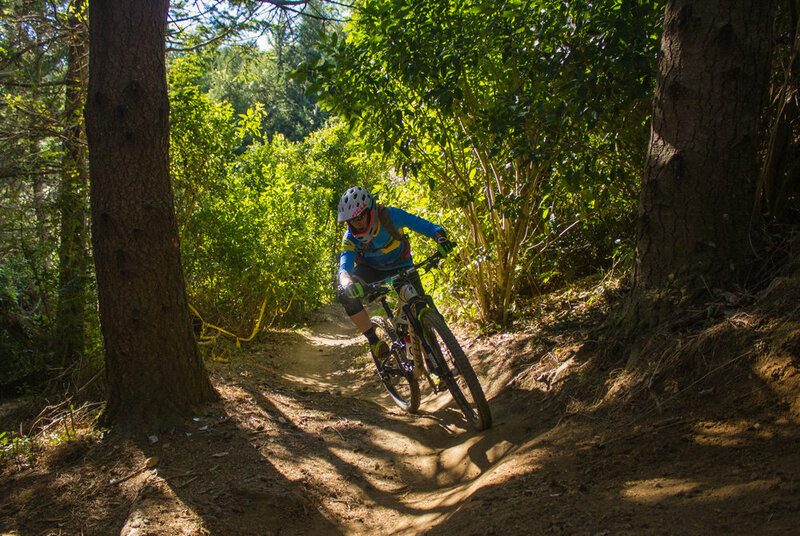 The Nelson Mountain Bike Club know how to put on a event, you might have head about the inaugural Mammoth Enduro last year or the annual Top Gun Enduro, all run by passionate locals purely for the enjoyment of others. An event for all ages, Shred Like A Girl attracted riders as young as 10! 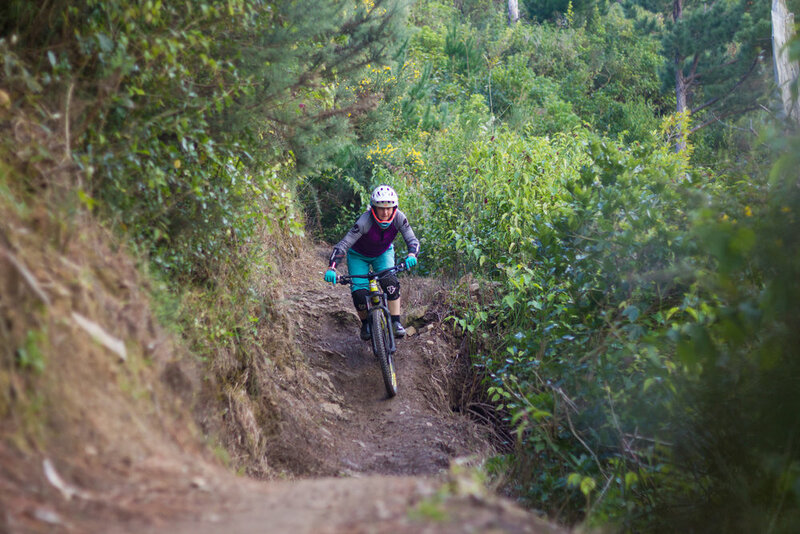 Now in it's second year, Shred Like a Girl is becoming an annual race just for the ladies of Nelson, aimed at all standards of riders, organiser Mel Schroder just wants girls to get out there and ride. Talking to Mel before the event she said she wants all ladies to feel like they have achieved something after the race, whether that be getting up the courage to take part in their first race, learning to tackle tracks at race pace for the first time or, for the seasoned pro's - to beat their mates on the local trails once and for all! To say this is grassroots racing is completely true but that doesn't mean that it's easy, if you have ridden in Nelson you'll know that this town has steep ups and even steeper downs! Shred Like a Girl was run on the typical Nelson 'after work' trails, grade three trails, with plenty of roots, rocks, jumps and hecklers! Start 'em early, hecklers on course! The trails of Nelson are a diverse bunch - just like these riders! Over the years I have found that ladies rock up to events like these because of the vibe alone. The trails used can be their nemesis or their favourite, it doesn't matter, what matters here is that everyone enjoys a day racing their mates and having a good time, as cheesy as that sounds it's true, there is no better feeling than forgetting the weekday stresses and spending time with likeminded people. Plus, (and being female I can say this) you know us ladies, we love a good chance for a natter, the hills today were alive with the sound of laughter, gossip and bike chat. The trails of Upper Firball, Hulk n' Hogan and Lower Firball made for sub-nine minute racing for quicker ladies, for those racing for the first time times went upwards from there. Riders were treated to sublime views atop of stage one with the bay of Nelson glittering in the autumn sunshine, this place really does shine! Ladies were being as polite as ever on the start line, I heard a lot of "Oh no, after you" and "Shout if you catch me". With high spirits and a party atmosphere riders dropped in from the peak, nerves dispelled as the wait was over tyres hit dirt. Riders came from as far afield as Christchurch to race! Three stages were dispatched in a couple of hours, even the least competitive riders felt the urge to check the leader board, the racing bug is catching on! Fastest lady of the day was U19 winner and rider Emma Bateup who took the prestigious Shred Like a Girl trophy home for the year. Drinking beer as the autumn sun disappeared over the hill behind the crowd there were smiles all round and what's not to be happy about? A day spent in the hills watching new and experienced riders take to the race track like ducks to water and to top it off they were all women! Listen up trails of New Zealand, Nelson's girls are coming for you!